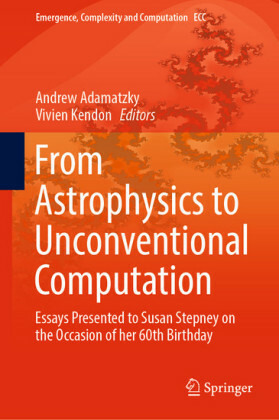 This fascinating, colourful book offers in-depth insights and first-hand working experiences in the production of art works, using simple computational models with rich morphological behaviour, at the edge of mathematics, computer science, physics and biology. 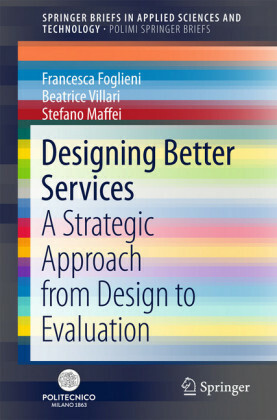 It organically combines ground breaking scientific discoveries in the theory of computation and complex systems with artistic representations of the research results. 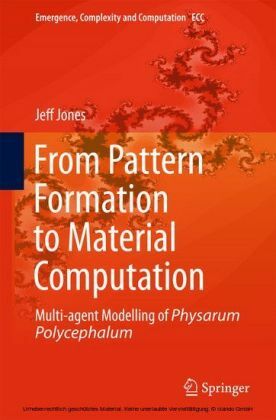 In this appealing book mathematicians, computer scientists, physicists, and engineers brought together marvelous and esoteric patterns generated by cellular automata, which are arrays of simple machines with complex behavior. 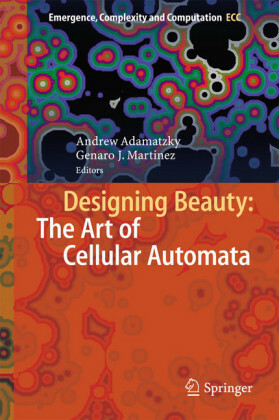 Configurations produced by cellular automata uncover mechanics of dynamic patterns formation, their propagation and interaction in natural systems: heart pacemaker, bacterial membrane proteins, chemical rectors, water permeation in soil, compressed gas, cell division, population dynamics, reaction-diffusion media and self-organisation. 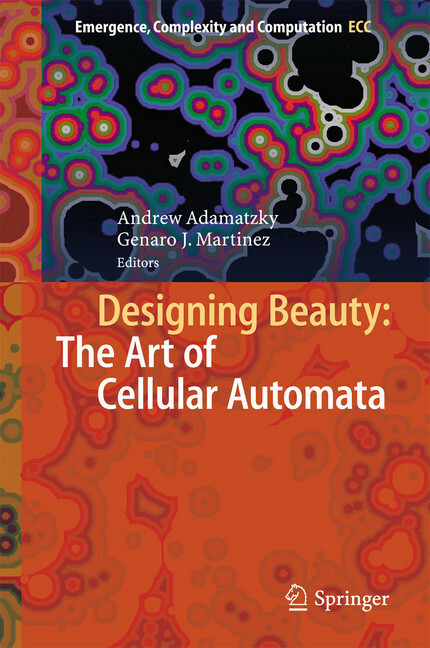 The book inspires artists to take on cellular automata as a tool of creativity and it persuades scientists to convert their research results into the works of art. 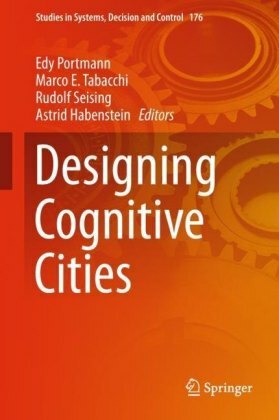 The book is lavishly illustrated with visually attractive examples, presented in a lively and easily accessible manner. Andrew Adamatzky is a professor at the Department of Computer Science and Director of the Unconventional Computing Centre, University of the West of England, Bristol, UK. 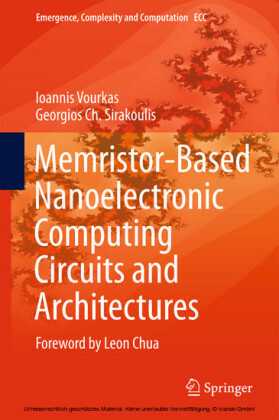 He does research in reaction-diffusion computing, cellular automata, massive parallel computation, collective intelligence, bionics, complexity, non-linear science, novel hardware. Genaro J Martinez is a professor at the School of Computer Sciences, National Polytechnic Institute, Mexico City, Mexico and visiting fellow at the Unconventional Computing Centre, University of the West of England, Bristol, UK. 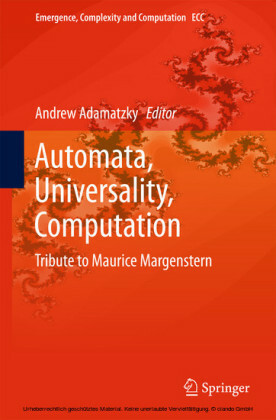 His does research in cellular automata, unconventional computing, artificial life, complex systems, and swarm robotics.